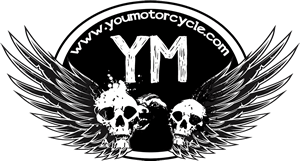 Oneitis and Motorcycles - Do you have Oneitis? There are words that describe human conditions that are used by psychiatrists, doctors, and counsellors… Then there are the words that we, the every man (or every woman) uses. Words like stage five clinger, creeping, and a little gem I learned this week: “Oneitis” – ever heard of it? Oneitis is the obsession with a person you’re sexually or romantically interested in. Similar to limerence, you might not be dating this person, you might not even be sleeping with this person, but if you find yourself saying out loud (or even thinking in your head) “She’s the one” (or “he’s the one”) … you’ve got an illness. An illness called oneitis. She’s always on the tip of his tongue and the front of his mind. I’ve suffered from Jack’s disease. Oneitis. It’s a dark, lonely road, and Celeste isn’t an idiot. She knows she doesn’t have to buy the cow, because Jack keeps bringing her the milk for free. And so he suffers, and he keeps on feeling inadequate. 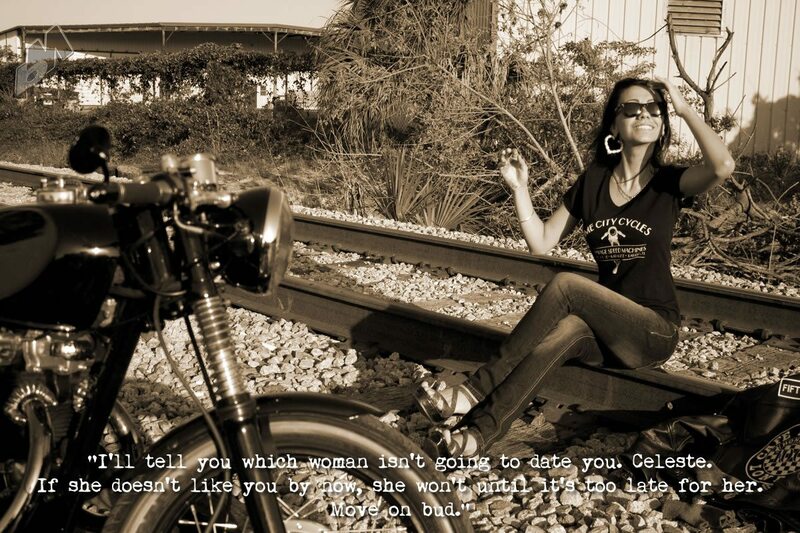 And that’s when I realized that when it comes to motorcycles, I have my own oneitis ‘isms. I’ve owned three 50cc two-stroke scooters (two were the exact same, down to the year and model). I’ve owned four Suzuki VZ800s (a 2003, 2004, 2005 and a 2011). Finally, I’ve longed over a Harley-Davidson V-Rod since… I can’t remember when. All I know is that even when I worked in the motorcycle industry, there was a V-Rod poster in my office, despite me having no professional affiliation with Harley-Davidson. “Yup, that’s me, Captain Oneitis” Jack’s text message distracted me from another Porsche-powered daydream. “How do I fix this?” he asked. 1) Take nine other women out on dates. 2) Sleep with these women. I explained it to Jack. “Yeah right, which nine women are gonna date me? !” was his reply. I really don’t know if Celeste is the right woman for Jack, nor do I know if that Harley-Davidson V-Rod is the right motorcycle for me. But there are three things I do know. 1) Celeste isn’t losing any sleep at night worrying about Jack. 2) That V-Rod isn’t losing any sleep at night worrying about me. 3) Neither one of them are worth us losing any sleep over, so to hell with them both. I’m going to keep on riding my japanese cruisers… but I’ll never lose sight of my dreams. But who knows, maybe I’ll start dreaming about a V-Max instead, or a Diavel, so I can blow that V-Rod away. Wouldn’t that be poetic justice? So how ’bout you? Is there that one bike, or one person that you’ve always wished you had? Leave a comment and let Jack and I know what’s on your oneitis wishlist. Props to bikerMetric for finding the pics used on this page. Is it Jack, or Jacob? I’ve been ‘Jack’ed around before… just like this guy. We do it to ourselves, ya know. You can avoid the confusion, and delete the thread. I won’t mind. I’ve had that experience handfull of times during my life. All but two turned out to not be worth the pain. One’s my wife of 39 years, but that took 29 years to find out. Worth the wait though. Best friends these past 10 years. Never give up on dreaming, even if it takes most of your life, sometimes they come true. Yeah, but I already got the grrl? I need to be more like Jay Leno, more bikes ‘n cars, less that got away. But, my obsession with bikes is waning, as I’m down to only owning 3 now. My peak was 4, but, even I knew there isn’t enough time in the day to make it work for all of them. Besies, the Hyosung GV250 is my teaching bike, and, my winter beater. It’s going back into full service next week, as we are hitting full frost warnings for the next few days! Frost tonite, snow next week! I have had that experience with a few women who shall remain nameless. As for the same thing with motorcycles, Harley XR1200. I have actually ridden examples of this bike on two occasions, and wasn’t fond of the riding position (I’m a big guy). After each of those two rides, they made me appreciate my Triumph America that much more. Still, I find myself searching craigslist ads around the USA for XR1200s. Totally irrational, yet I persist.